Quantities can be produced for bench top, pilot scale, and industrial applications. Porocel has been a worldwide innovative leading alumina supplier since 1937. 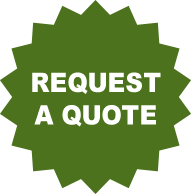 For more information about Porocel's aluminum oxide products, please contact us at aluminumoxide@porocel.com or you can always call us at 832-688-9696 extension 221. Aluminum oxide is a chemical composed of aluminum and oxygen (Al2O3), and activated alumina consists of several transitional phases of aluminum oxide. Activated aluminas are used in many industries that manufacture high purity products. Aluminum oxide is a powerful amphoteric (ability to act as either an acid or a base) oxide, with powdered alumina having several application areas, including being used as a solid phase, adsorbent, desiccant and catalyst. A variety of solid phase materials can be used in chromatography. Aluminum oxide, also referred to as alumina, is often used because of its amphoteric nature. Optimized particle size, surface area, pH, and purity make aluminas particularly effective for separation of small molecules, peptides, lipids, alkaloids, and a wide variety of other materials. Tight controls over process parameters enable Porocel to deliver products with low batch to batch variability. High quality aluminum oxide products protect users from introduction of outside contaminants. Quality assurance systems and qualified cleaning processes maintain the purity of the aluminas allowing for cleaner separations and can reduce washing steps. Low fine content allows for efficient separations with reduced band tailing. The lowering of fines in high quality chromatographic alumina also reduces process back pressures and can prevent premature filling during column packing. 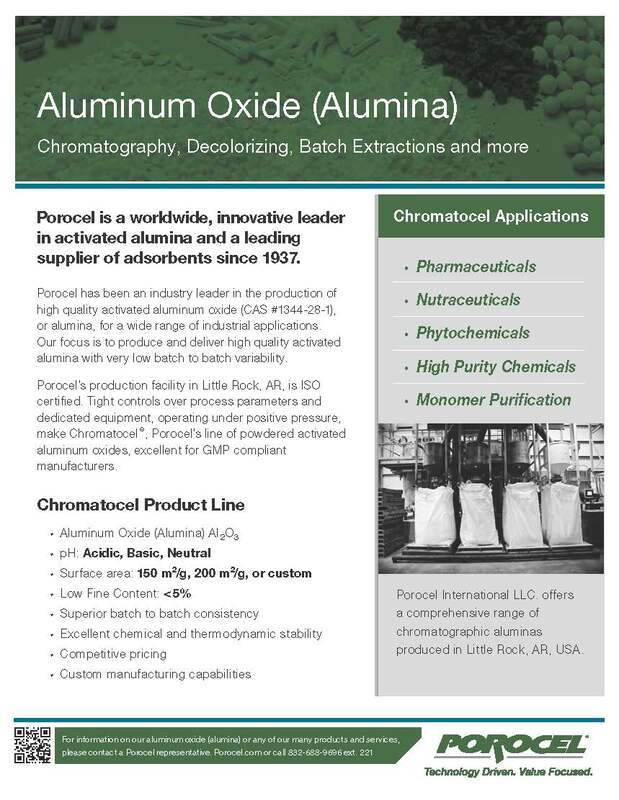 Porocel International LLC offers a comprehensive range of chromatographic aluminas produced in Little Rock, AR, USA.